Bwin is the main sports betting brand of GVC Holdings PLC, who are the leading player in e-gaming in both B2C and B2B markets. The company used to be owned by the Bwin Interactive Entertainment AG group who were based in Austria, Sweden and Gibraltar and began business in 2006. Ten years later they were purchased by GVC Holdings PLC. The operational activities on the Bwin site are run by ElectraWorks Limited who are based in Gibraltar. Their responsibilities include taking care of the bookmaking business, customer support and risk management. They are licensed by the Government of Gibraltar and regulated by the Gibraltar Gaming Commission. ElectraWorks Limited is also licensed and regulated by the UK Gambling Commission. When you join a site, an attractive sign up offer is always appreciated and at Bwin the one you receive features the possibility of a free bet being received.This industry is a highly competitive one, so the companies face a battle to get new customers and luckily that means some great sign up offers to entice new customers onto their site. It’s always important to ensure that you read all the terms and conditions of the welcome offer as well as all the other promotions available on the Bwin site.Once you have registered with the Bwin site, to take advantage of this offer you need to make an initial deposit of at least £10. Once that has been done then it’s time to make your first bet and this must be a maximum of £10. It must be used on a selection that has odds of at least 2.0 so no backing short-priced favourites unless it’s in a multi-bet that overall has the required odds and Cash Out can’t be used. If that bet is a loser, then you will be awarded a free bet equal to the stake of your bet up to £10. That bet could then be used to place a winning bet that could be very profitable if your luck is in.To qualify for this sign up offer, the initial deposit must be made using one of the following deposit methods: Banktransfer, Diners, EWire, Instantbank, instantbanking, Kalixa, Maestro, Mastercard, Paypal, QiWi, Visa or Wire. The free bet is available for seven days after being sent to your account. It can only be used for sports bets on Bwin.com. If your free bet is successful, then the net winnings will be credited to your account and there are no wagering requirements before cash can be withdrawn from your account.It’s a decent sign up offer but if your qualifying bet is a winner then there’s no welcome offer at all. The suggestion is to place an adventurous qualifying bet knowing if it wins you make a good profit and if it loses then there’s a free bet on its way to your account. The minimum deposit you can make with this site is £5 with Paypal but £10 for the clear majority of the payment methods available on the site. The minimum bet that can be made is £0,50 and the minimum withdrawal from your account is £10 with a maximum ranging from £4500 up to £8500, Bwin has plenty to keep all its customers busy without a dull moment in sight. It has plenty of live betting at all times of the day and live streaming. There’s a whole range of sports covered with plenty of promotions and the exciting Cash Out facility. There’s a mobile app that can be downloaded and plenty of customer support including live chat, email and telephone contact. There is a wide range of payment methods that are accepted by the Bwin site and there should be no problem at all in finding the one that you wish to use but remember the restrictions re the welcome offer, full details of which follow. Payment methods that are accepted include Visa, Mastercard, Skrill, PayPal, Instant Banking, Neteller, GoPlay, Maestro and WebMoney. This is a site that has a great deal happening so once you register, it’s a good idea to take a good look around the desktop site to get used to where everything is. If you love the colours black and white, then you will love the Bwin site. Everything is set out clearly and to the left of the page are the most important events and the opportunity to select your favourite sports, so you can head to them a lot quicker. There’s also a list of the many sports that are covered by Bwin. So, with no navigation problems despite the amount of information on the pages it doesn’t look at all cluttered and is easy to operate. Wherever you look in life there are rules that need to be followed and the Bwin site is no exception. Betting on sport can be a complicated business and it’s important that you read the rules before placing bets because one wrong decision could result in money being lost.The Bwin site has a section that looks at the rules for each of the many sports that are covered on the site and it’s essential reading with lots of key information being provided. For example, if you want to place a bet on boxing, it’s important to know the rules regards what happens if the big fight is postponed. With Bwin, if the postponed fight doesn’t take place within 28 days of the original date, then bets are voided but if it is rescheduled within that time, the original bets are still valid unless it now takes place in another country.Basketball is a popular sport for players to place bets on and again you need to have a good look through the rules. Ensure you know just what to do if a game is abandoned, the rule at Bwin is that the result at the time of abandonment stands if there are less than five minutes left to play.Football has plenty of rules that customers need to be aware of when using the Bwin site. For example, with a first scorer bet, remember that own goals don’t count and if a game is abandoned before a first goal has been scored, all bets are voided.Rules can get a bit complicated so if you’re not sure about something, there’s always the excellent customer support to contact. Other rules on the site relate to who can place bets, stake limits and what happens when you want to close your account. There’s so much on offer at the Bwin website with so many events just waiting for you to place bets and get some wins. When you join a sportsbetting site, you obviously want to be with one that covers as many sports as possible. The Bwin site has a wide range of sports covered and that includes horse racing which hasn’t always been the case but is now an important part of the site producing plenty of betting opportunities every day. The site covers all the main sports you’d expect to be betting on including football, cricket, tennis, rugby and all the top American sports. However, you can also bet on other sports such as Bandy, Archery, Beach Handball and even Fistball. Betting has changed a great deal in recent years and it’s important that you know just what is available and how they work. The Bwin site gives plenty of information so that’s going to help you a great deal and remember, if still unclear you can just use their customer service to get the answer you require.At this site you can choose from three different types of bets. There’s the single bet which is simply making one selection, for example, Lewis Hamilton to win the F1 Driver’s Championship. Then there are multi-bets which see the player making more than one selection. For example, a double would be a bet on the results of two football games. It’s also possible to make ‘system bets’ and these can bring players some big wins. This type of bet involves a number of selections, for example a Lucky 15 which involves four selections with four singles, six doubles, four trebles and a four-selection accumulator bet. You can have bets that have a large number of selections. For example, a Goliath System bet has eight selections and a total of 247 different bets.Full details of all these different kinds of bets are available on the website and a calculator to work out just how much you’ve won. The advantage with the system bets is that you don’t need all of your selections to be winners to make a profit. Betting on football is so popular these days and it’s seen a massive growth in popularity in recent years, particularly since online betting arrived on the scene. Back in the day, football bets used to be restricted to who wins the game or whether it’ll be a draw and betting on who’s going to win the league or the cup.At Bwin, there’s a whole host of football games that you can place bets on hoping to get some winners. It’s not just the big games in the Premier League, La Liga or the Champions League but smaller leagues from around the globe and even reserve and youth matches. You may not have ever heard of the team you are betting on, but a win is a win.You can place bets on the first, next, last or anytime goal scorer, how many goals there will be in a game, the number of corners and bookings and whether there will be a penalty in the game or not. The bonus with many of the bets available is that you don’t have to actually predict who’s going to win the match and that’s always useful if it’s a close game where you just can’t make your mind up.Then there’s the margin of victory and handicap betting and all of this can be done during the game itself with live betting and if there is live streaming available then you can watch the game live while also having the ability to place bets on it, all of which makes betting on football when visiting the Bwin site a very exciting experience. Live betting is where the thrills and spills and highs and sometimes lows can be found on the Bwin site. Being able to bet on an event as it’s happening is a great way to bet because you just never know what’s going to happen.Being able to bet during a football, tennis or rugby match for example, really gets your heart pumping and even more so if you can watch the event via live streaming as is often the case on this excellent site.The odds change continually in response to what’s happening in the live event. This means you can keep on betting during the game and take advantage of some good odds. Another bonus is that via the live betting on the Bwin site you can launch a bit of a rescue mission if the selection you made before the event isn’t doing too well. 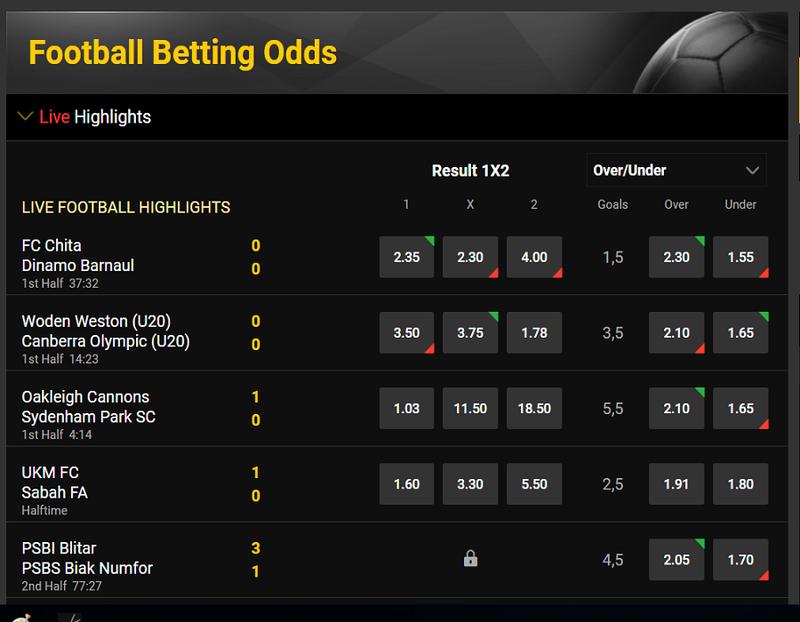 The addition of the Cash Out option also makes live betting an exciting experience, more about that elsewhere in this review.There is live betting available on the site throughout the day from around the world so get ready for some bleary eyes in the morning after a late night following live action from the USA. Basketball, baseball and American Football could all become popular betting sports for you. There’s plenty to like about the Bwin site and it will soon become one of your favourite sites on which to bet on. It has a great look to it and the sheer range of sports that you can bet on is highly impressive. The fact that horse racing is now available on the site is a big plus. The statistics that are available on the site are fantastic and really help customers make their decisions on who to place their bets on. Also impressive is their live score facility.Everything is well set out and once you set up your favourite sports you can get to the pages you want even faster. Whatever the time of day or night, there are so many betting opportunities available and a big problem is working out where to start. There are plenty of promotions made available to customers and the cash out facility and live betting/streaming makes this a site you will want to keep on visiting. As well as the excellent sign up offer on the Bwin site, there are several other promotions that make betting here such an exciting and hopefully profitable experience.Lots of players love to put some accumulators on, particularly when It comes to football. At Bwin they give their customers a selection of enhanced Accas for games that are played all around the world. It could be some English Premier League games, the latest matches from Brazil’s Serie A or a selection of games from different countries. There’s a whole page dedicated to this accumulators that give you better prices than if you were to just go ahead and decide they’re the ones for you.Another popular promotion is the Matchcasts. This takes a look at a specific game and offers odds on certain events happening. For example, it could be Liverpool winning with over 2.5 goals in the game with both teams scoring in the first half and over 11.5 corners. It’s basically just taking some of the most popular bets and putting them together at very tempting odds. There’s great fun to be had with such a promotion as you tick of the ones that happen and hope the others come in to land that big win.There are often other promotions on the site including big prize draws to win tickets to major sporting events such as the World Cup. This requires players to bet at least £10 on any sport at minimum odds of 7/10 to earn raffle tickets. How many you receive depends on your type of bet with nine available for bets placed on riskier bets such as Lucky 15s and placed on your mobile. When you are enjoying the thrills of live betting on the Bwin site, there’s another feature that makes it even more exciting. Rather than placing a bet and then waiting until the action is all over to claim any winnings, the Cash Out facility is available on selected events.With Cash Out, you can end your bet when you want to. It’s ideal if your selection is winning but it’s close and you fear they might not hold on for the victory. You won’t get paid out as much as if you wait for the event to end, but if you cash out and then your selection doesn’t win, then you’ll be smiling. Of course, there are times when the decision can be wrong, and your selection holds out for the win and you could have won more.The site indicates whether or not the cash out figure is above or below your stake via colours. Green means the cash out figure is higher and yellow that it’s below. Yellow may be a bad result but if your selection is losing, then you can cash out and at least get some of your stake back, but it’s so frustrating when you do that, and they turn it around and go on to win. Cash Out is only available on single bets, Multi bets, pre-event bets and live betting. Just look for the ‘Cash Out’ button to find out if it’s available on your event. Recent years have seen the free bet come into play a great deal on betting sites. This is a popular promotion on sites and Bwin give their customers plenty of chances to receive some free bets. Of course, a free bet might just end up as being another loser but if your luck is in, then a good win could be just around the corner so here’s hoping for the latter.Every week the site gives away £800 in Free Bets in its Acca Madness promotion and how high the amount you receive depends on how high the odds are in your promotion. Also, they have Acca Insurance where if a bet with five selections or more is let down by just one of your teams, your sake is refunded as a free bet. Horse racing isn’t left out with free bets handed out if your selection falls or unseats its rider with a maximum of £25 a day. Who knows you could end up having put your money on a horse that ends up well down the field but then falls or unseats its rider to give you a free bet that could be a winner, life can be very strange sometimes.Virtual sports are a big part of the Bwin site allowing players to be constantly offered events to bet on, as unlike the real thing, the virtual competitors never seem to get tired. If you love betting on these events, which include horse racing, football, cycling, trotting and tennis, Bwin offer to refund 10% on net losses up to £20 per week in the form of Free bets when you bet on their Virtual games between Wednesday and Sunday. There’s so much happening on the Bwin site that you are bound to have some questions about it, particularly during your early days on the site. Excellent customer service is essential for any site that you decide to join up with and that is definitely the case here.The site contains plenty of information that should be able to answer any questions you may have. That’s whether your enquiry is about banking, promotions, their mobile app or problems that may arise with your account. Make sure that you have a good look through their FAQs page and their terms and conditions.If you are still unsure about something, there’s the live chat facility available allowing you to chat to a Bwin employee about whatever it is that you need to find out. If you are still in need of help then it’s possible to email Bwin using the Contact page on their site and they promise to give customer queries a reply as quickly as possible and one that is thorough, though they do request you don’t send multiple emails on the same subject so just be a little bit patient. If you do have any complaints, simply email complaints@bwin.com. There’s also the opportunity to call them on 00350 200 77761 between 10am and 10pm. To be able to use the many products that are available on the Bwin site you need to register with them. The good news is that this won’t cost you anything at all and there are no obligations. It’s a simple process to register with the site and takes no time at all to complete. Signing up with the Bwin site can be achieved in five easy steps. Firstly, you need to go to the Bwin website. Then look in the top right-hand corner and click on the Register Now button and fill in the details that are required of you. These are the usual kind of questions that you have probably filled in on numerous occasions. The hardest part is perhaps coming up with a username and the all-important password. Step three is to make your first deposit with the site. To be able to do that you need to take step four which is entering your bank details. The final step is to validate your account with the documents requested by Bwin.Once registration is complete you will be logged into your new Bwin account and various payment options displayed. It’s not possible to modify your basic data, for example, your Christian name, surname and date of birth or the currency you wish to use. The information that you have supplied will be safe from third parties and are protected by a firewall.It isn’t possible to register more than one account using the same personal details and if you do try to do that, this can result in your original account being closed by Bwin. When you play on a site that has so much going on as this one, you won’t want to be missing anything. Therefore, it’s great news that there is a mobile app that will allow you to be playing the Bwin sportsbook anywhere and anytime that you want.The Bwin app is available for use on your iPhone/iPad or Android App and it contains all the features that you will have grown to love when playing the desktop site. A major bonus with the app is that you can watch live streams on it. That means even if you are in the queue in your local supermarket, you could still be watching the big match live and being able to place bets on it and that includes being able to use the cash out facility. The app is user-friendly and easy to navigate around so no problems on that score. The Bwin site makes several special offers to its customers throughout the year. Keep an eye on your inbox and hopefully you will receive something that will prove profitable, for example boosted odds. Review on Bwin checked the April 22, 2019 by SportyTrader with an overall score of 8.5 out of 10.